We are currently getting set to attend Ireland’s largest foodservice and hospitality event, CATEX which is taking place in the RDS, Dublin from the 26th – 28th February 2019. With over 10,000 visitors expected, including thousands of people who work in foodservice and hospitality across Ireland, CATEX is a huge opportunity for Tierney’s to secure valuable business for the months ahead. Commenting on how important CATEX is to the business, MD Andy Tierney says: “Taking place every two years CATEX, offers an exceptional opportunity for insert company name, to meet with thousands of customers over three days. At the show, we will be Showcasing our NCR Aloha POS and Orderman Handheld Ordering Solutions, Software and Hardware. For over five decades, CATEX has provided a vibrant platform to see, taste and experience an exciting and electric mix of undiscovered brands and household names alike. Promising to serve up a show packed full of solutions for business, CATEX will also host the Irish Barista Championships, Irish Cocktail Championships and over 1,000 chefs will be competing in the Panel Of Chefs’ Chef Ireland Competitions. 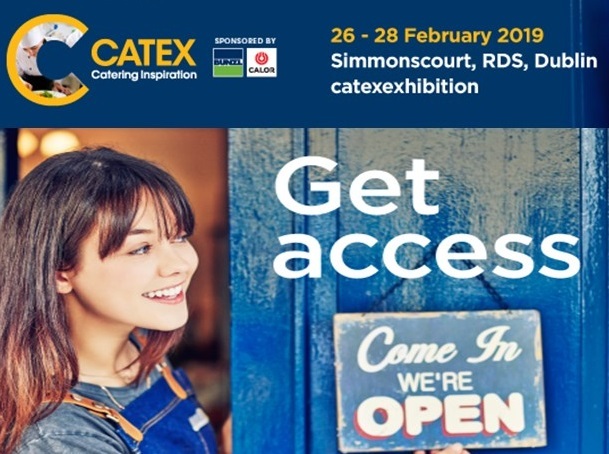 CATEX is taking place on 26th – 28th February at the RDS Simmonscourt, Dublin. To register to visit and be part of Ireland’s leading industry event for FREE, please visit www.CATEXexhibition.com.